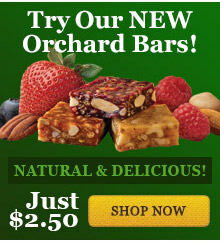 For nut-lovers... famous Aplets & Cotlets with 33% more walnuts! 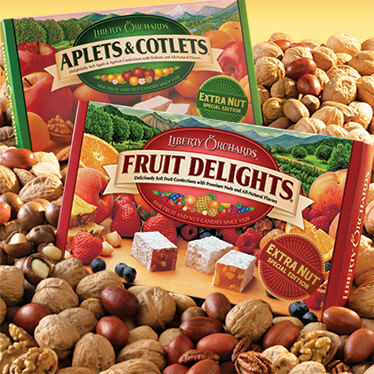 In celebration of our 90th Year Anniversary in 2010, we created a "special edition" of our Aplets & Cotlets with one-third more nuts at no extra charge! Kosher. INGREDIENTS: Extra Nut Aplets & Cotlets: sugar, corn syrup, walnuts, modified corn starch, fruit [fruit juice from concentrate (apple, apricot), pectin (pectin, disodium diphosphate, sodium polyphosphate, dextrose, dicalcium phosphate), natural flavors, sodium citrate, citric acid, malic acid, soy lecithin. Ordered (2) extra nuts, received (1) box extra nuts. Only a few had extra nuts. Disappointed.